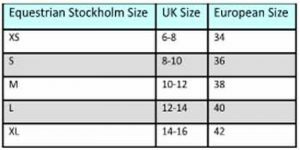 Our size guide provides all the size charts which apply to specific brands (manufactured in different countries). 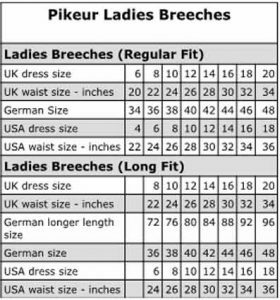 The charts apply to ladies’ breeches, shirts, jackets & gloves. Please use the appropriate chart to guide you in choosing the correct size. If you need any further help please don’t hesitate to contact us. 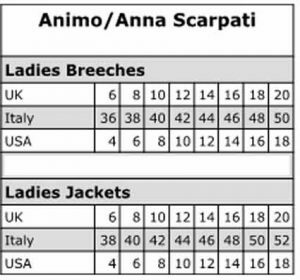 If you are unsure of your size, it is recommended that you send us your measurements so that we can advise you. 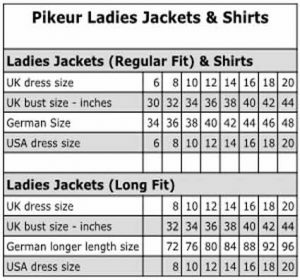 For general guidance in choosing the correct sized clothing for a number of international size systems, refer to the website www.sizeguide.net/. 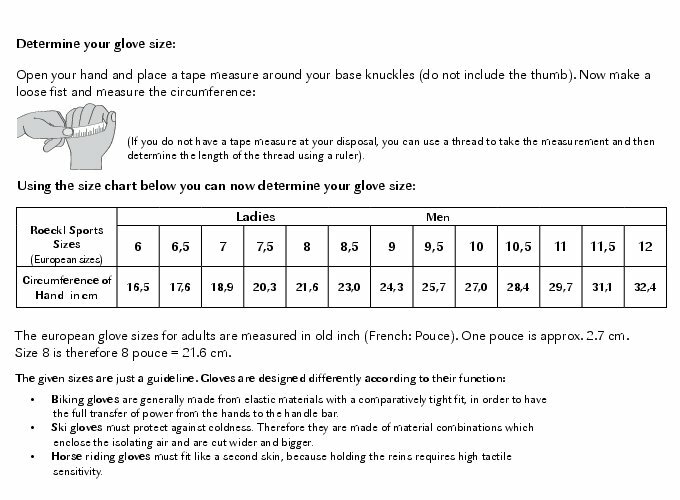 ALL THE RIDER WEAR PRODUCTS USE THE UK SIZE SYSTEM.